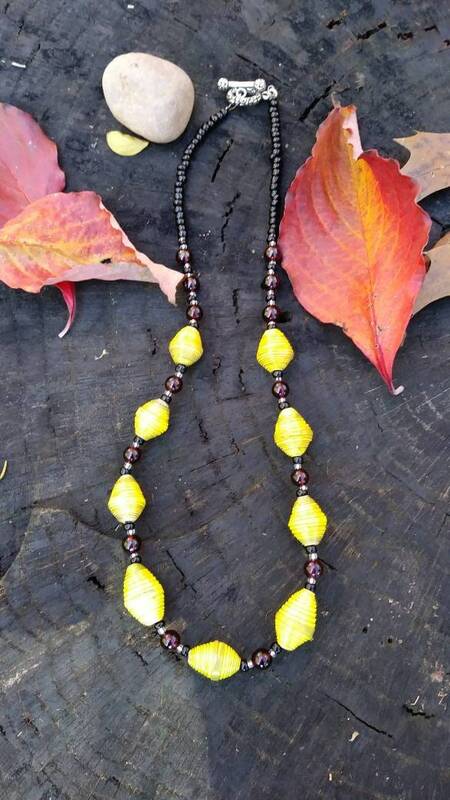 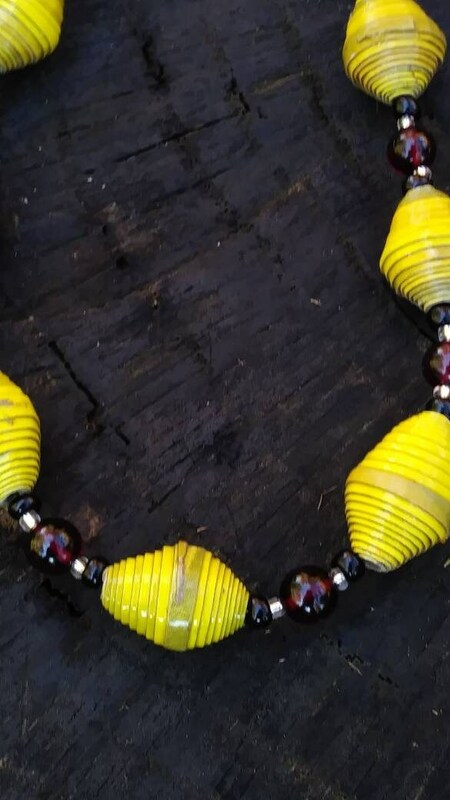 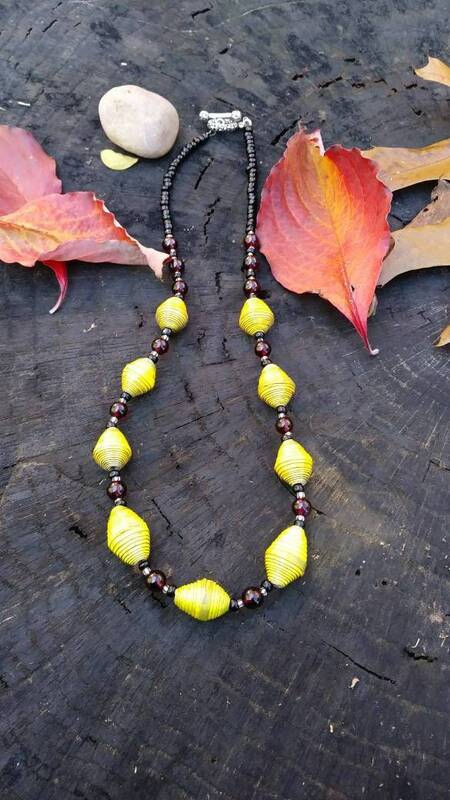 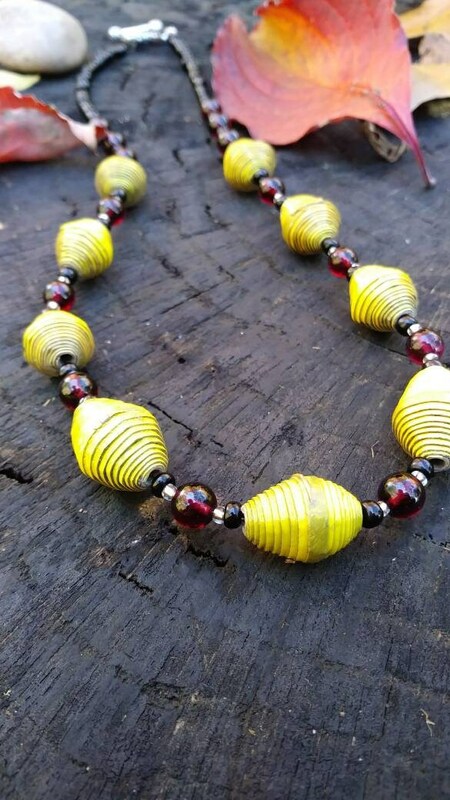 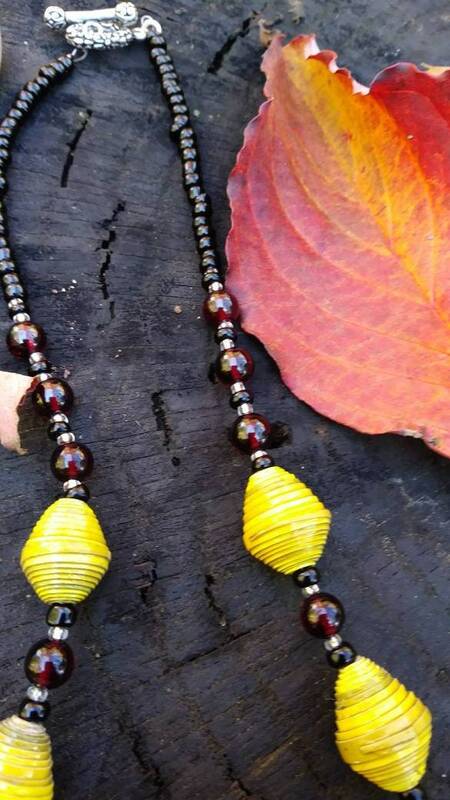 Lovely Garnet necklace creatively matched with handmade mustard colored Haitian paper beads. 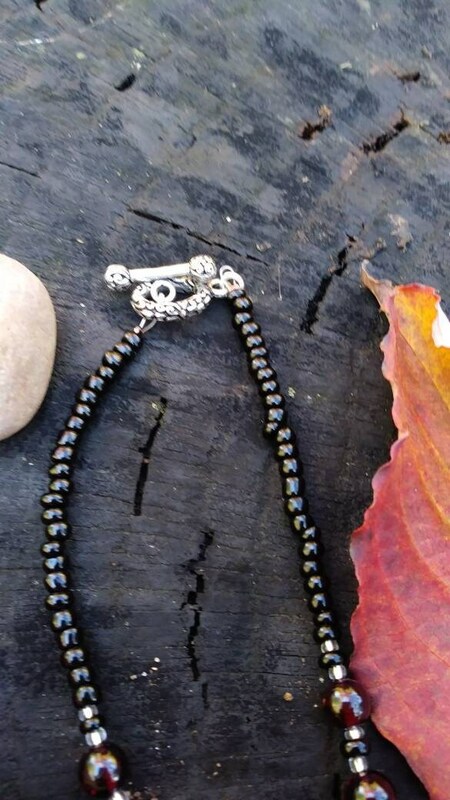 The sterling silver toggle clasp makes this necklace easy to put on easy to put on. 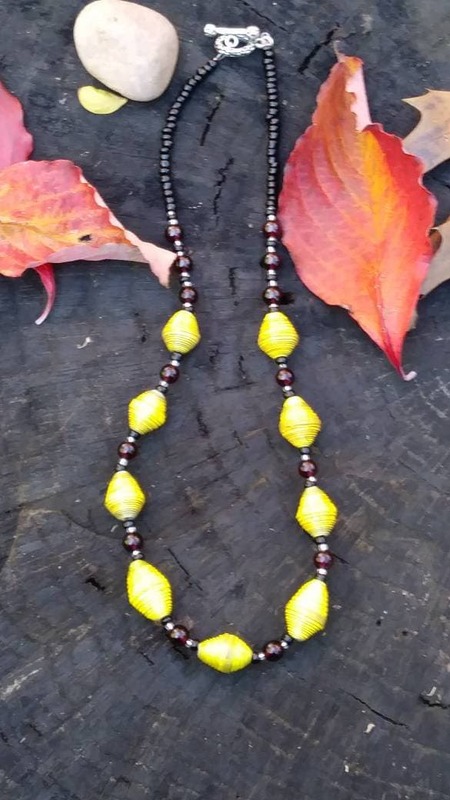 Necklace length is 21 in. 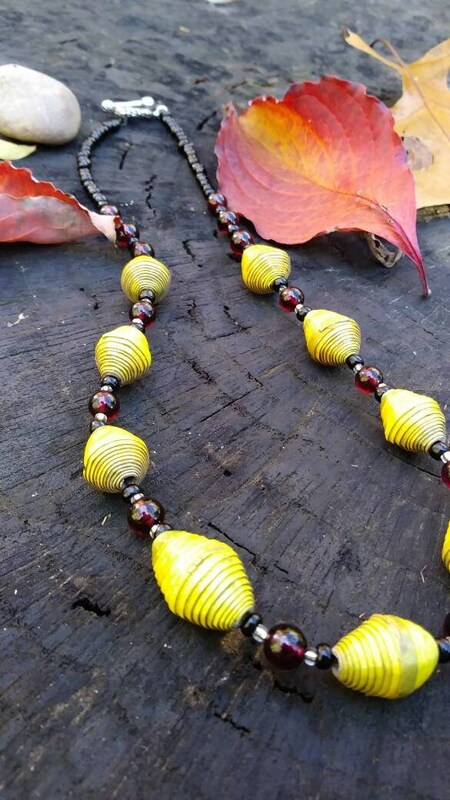 Paper beads are varnished but should not get wet.